When the temperature drops people in Baguio are thrown in a frenzy because it is cold and for a country near the equator the cold temperature is not experienced for long. It is not even experienced in all parts of the country. The cold temperature is only experienced in the mountains of the Cordilleras during the onset of the “amihan” season or the northeast winds. 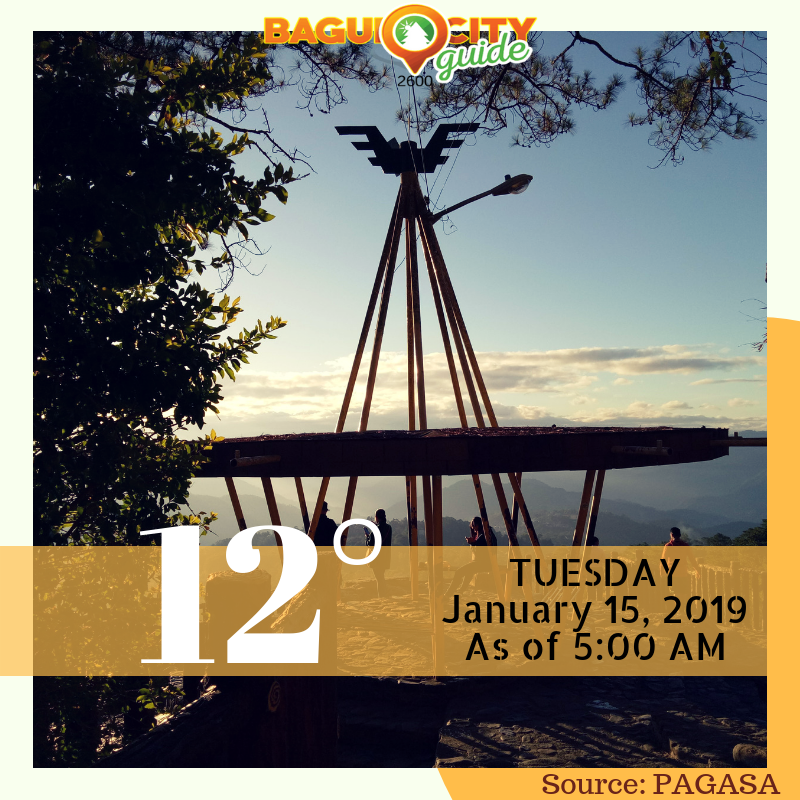 Today, January 15, 2019, Baguio City experienced the coldest temperature so far at 12°C. We say so far because there is a possibility that the temperature will drop further. In 2017, the temperature dropped to 7.3°C almost matching the temperature of 7.1°C in January 9, 1971. The cold weather is brought about by the moderate to strong Northeast winds. Many residents and tourists are enjoying the cold weather in Baguio City. When you go further up the mountains of the Cordilleras however, you will experience a lot colder temperature, sometimes about 2 – 4 degrees lower than the lowest temperature in Baguio City. The cold weather in Baguio City will prompt residents and tourists alike to bring out their “winter” clothes to protect them from the cold. It is also a good time to drink a hot cup of coffee or tea and if you are feeling hungry a hot bowl of Bulalo or Pho might be a good idea! How do you keep yourself warm in this cold weather? We’d love to hear from you in the comment section below! Planning to visit Baguio City to experience the cold weather? Check the availability of Transient Houses and Hotels in Baguio.